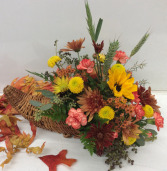 Send a unique keepsake with this white ceramic pumpkin. 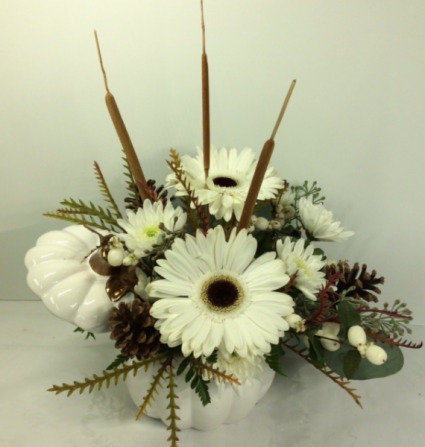 It is filled with white gerbera daisies, pine cones, cattails and mums. 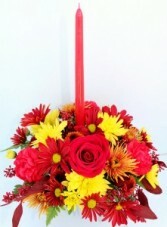 A different take on Autumn that looks marvelous as a centerpiece or a desk! 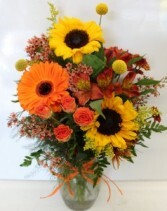 This is a vased arrangement filled with sunflowers, a gerbera daisy, billy balls, alstroemeria, a spray rose and mixed fillers.